During November, Faber Music are hosting a fabulous Piano Month, and are celebrating with a new piano resource magazine; The Faber Music Piano Catalogue. 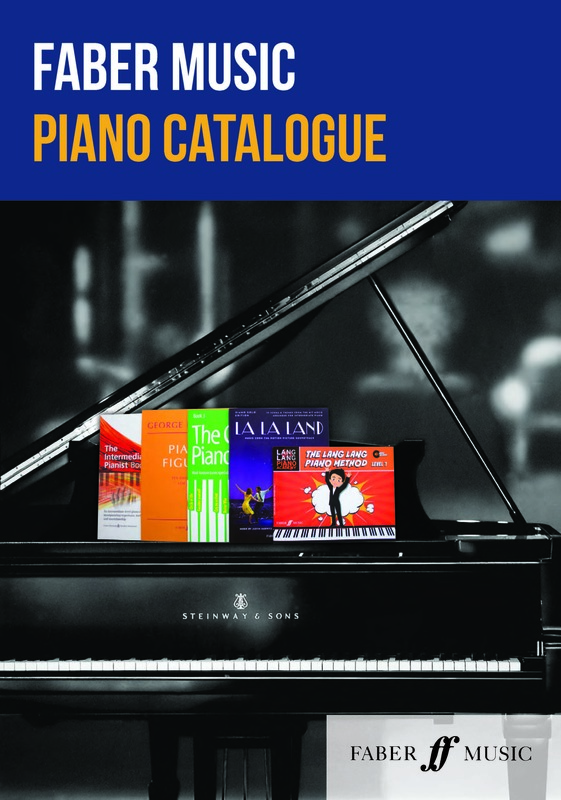 Featuring all Faber’s piano publications, you can browse the magazine online for free by clicking here. As well as copious information about each publication, the new magazine also includes articles from some of their well-known piano writers and composers such as Pamela Wedgwood, Anthony Williams, Karen Marshall and Paul Harris. My guest post today has been written by Paul Harris. Paul is a best-selling, renowned writer, composer, arranger, and author who has penned over 600 publications. His series, Improve your Sight-reading! is a stable resource in many a music teacher’s library (including mine!). A passionate advocate of sight-reading, the following article, which features in the Faber Piano Catalogue, encapsulates Paul’s formula for sight-reading success. Do I have to Sight-read? This is a question many teachers may hear from their students. And for those who can play well from memory or by ear, why would they need to? The greatest gift we can give our pupils is musical independence, no longer needing a teacher to show them how it goes. If they can read, the whole wonderful world of music is open for them to explore and enjoy without restriction. Pianists can learn music to their hearts’ content, play duets, accompany friends and take part in all manner of ensemble playing with the confidence that their reading skills will allow them complete and unhindered understanding. And they’ll get high marks in exams! The Improve your sight-reading! Teacher’s book for piano completes the process of learning to sight-read. If some lessons, or parts of lessons are given to teaching sight-reading skills (set out comprehensively in the Teacher’s book) and the pupil then goes home to practise (using the Improve your sight-reading! workbooks), the teacher will now find plentiful material to use to complete and polish the process. Sight-reading can be taught. And all pupils can learn to sight-read accurately, fluently and confidently if they are taught in a systematic manner. The Improve your sight-reading! series, now complete with the addition of this teacher’s book will, through its methodical approach, allow all to achieve this essential core skill. Because each step forward is sequential and logical, progress will be continually evident and the whole experience will be fulfilling and fun! Faber are offering a 10% discount on many selected publications in November and December this year, and you can find out more here.